OLD B &amp; G COMPRESSION TANK SIZING..DO I NEED A NEW TANK? 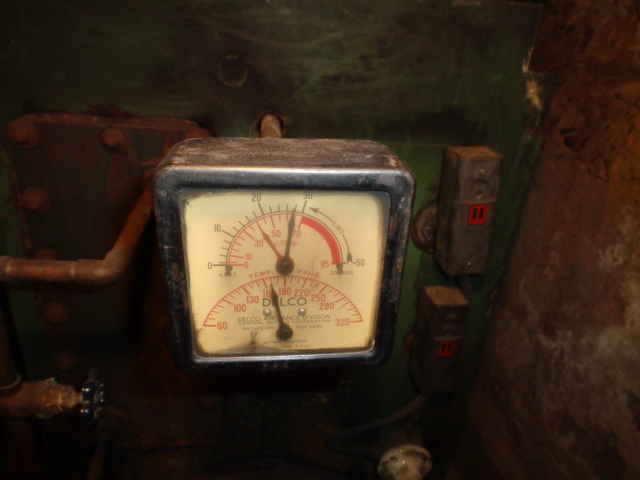 The boiler is a Delco DB4S...I'm getting mixed info from the heating museum and the old booklets as far as the BTU's...ranges in books and brochures.....121000 to 160080 boiler output..with 39.5 boiler capacity. This is a 2 family house...there are no vents in the system...the expansion tank has a drain faucet on the tank and no other gauges attached...There are 15 radiators in the house....there is one taco circulator feeding the system. The burner is a Beckett AF with and F3 head 1.25 gph 80 degree Hollow. The burner is running fine. I just installed new vent pipes and barometric damper...brushed and cleaned the boiler...checked everything. 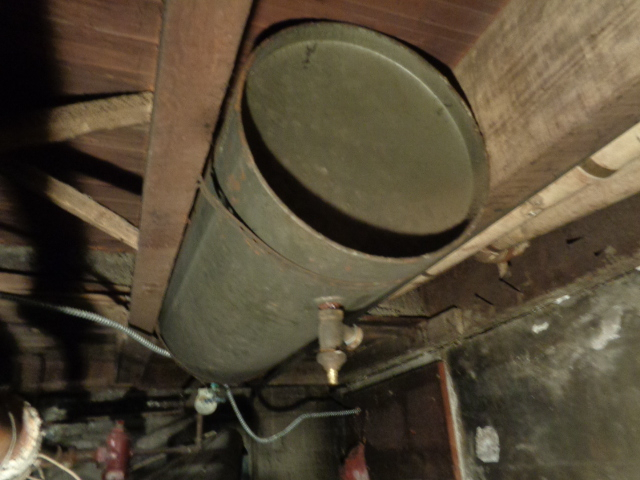 I drained the tank....which is an old B & G tank on ceiling....diameter is 12 inches and length is 30 inches...I figure it was just under 15 gallons. I tested it using the B & G dual valve instructions...The boiler was off for a few days...refilled the tank and the valve filled it up to 12 lbs on boiler pressure gauge. Started the boiler and after 10 or so minutes the pressure went to 15. The book said if it's over 10% of total boiler pressure cold that the the tank is no good. 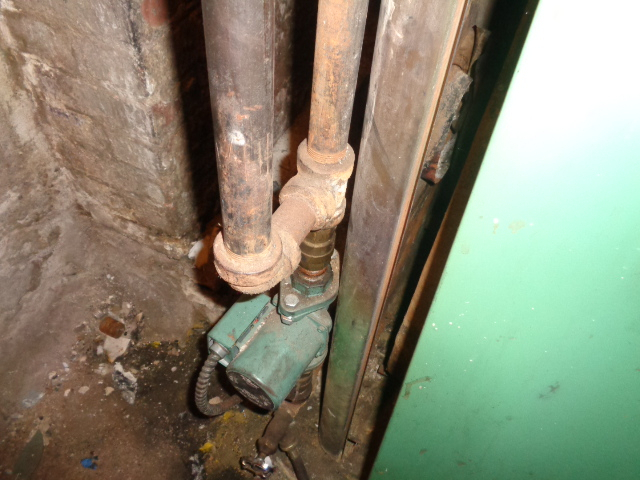 I've seen the safety valve leak some water last heating season when the pressure was in the high twenties. and figure this tank is no good anymore..unless I'm wrong...I'll change all those valves if necessary if the tank turns out to be the problem here. Is all this math and calculation the best way to go..or is it just overkill? Just read the below article on this site written by Dan...good and informative info here. After the responses from this post and reading this article it looks like there is hope for this tank. I did have to measure every steam pipe in a house and figure out all the capacities to figure out the proper venting for the basement as well as all the radiators so I know how to figure out the formulas on that kind of stuff. I read about all that here on this site thanks to information leading to Gerry Gill's information...and also attended a Steam Lecture by Dan Holohan in NYC. How should I proceed with this please? 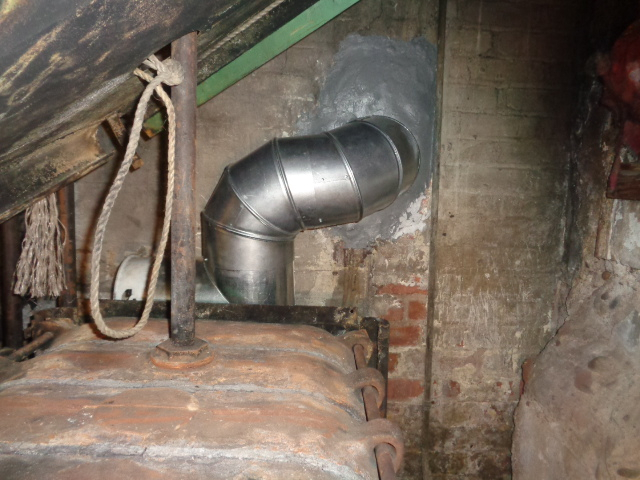 How about pictures of the boiler, tank and any vents you refer to. I see now you were referring to 2 different jobs. If a compression tank has worked for years on a hot water system, it should continue to function unless more piping/radiators/water has been added. If it does not leak air or water then it is not worn out. Pressure increase went from 12? to 15? Your pop off relief valve could be getting weak or your compression tank has lost it's air charge. Do you have any other air removal devices on the system? Pix might help. Your original post has some numbers and nomenclature that puzzles me. 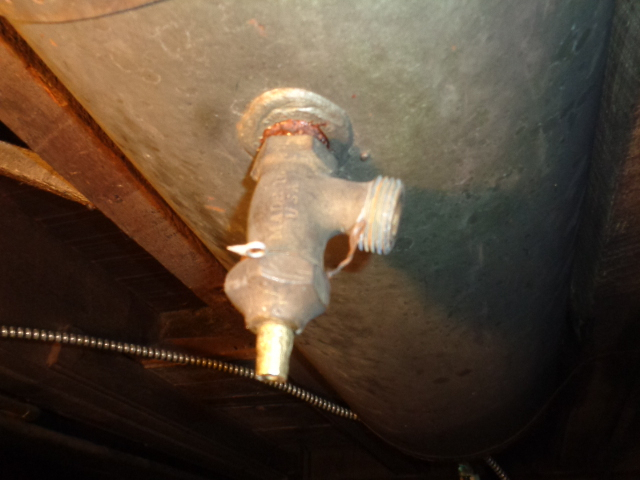 If you have a steel compression tank between the ceiling joists in the basement you do not have steam heat. do you know where the circulators are that push hot water from the boiler to the radiators???? We need pictures of them too. What you have a steel compression tank not an expansion tank and it is a very reliable way to provide the point of no pressure change in your system. 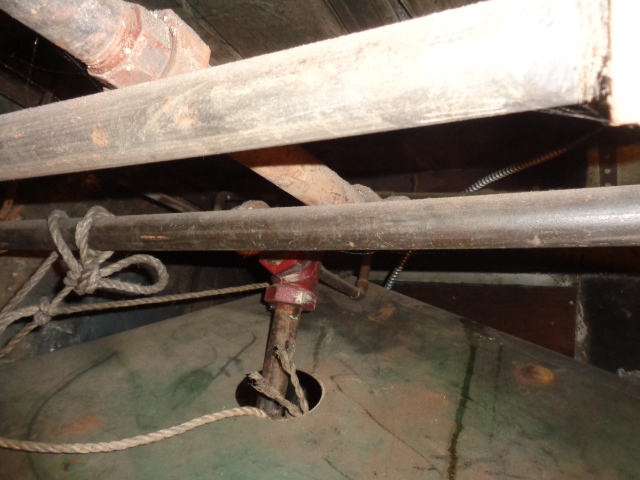 The only time a steel compression tank goes bad is when a weld ruptures or the tank rusts out at a weld. I have the same tank but a newer vintag with an airtrol valve, and gauge glass and an Internal Air Separator to feed any airbubbles into it. With my coal stoker using the steel compression tank I run summer temperatures of 140 low 160 high with a 190 dump zone temperature. If you want a reliable triple gauge you should purchase a Marsh Instruments triple gauge as it is built by them, tested and certified by marsh industries and they offer a 2 year guarantee on the gauge and they can be easily calibrated by the lay person. I have had my fill of chinese gauges and will not buy them; BUT i would not hesitate to purchase pressure gauges from Taiwan, those I would buy in a heartbeat. 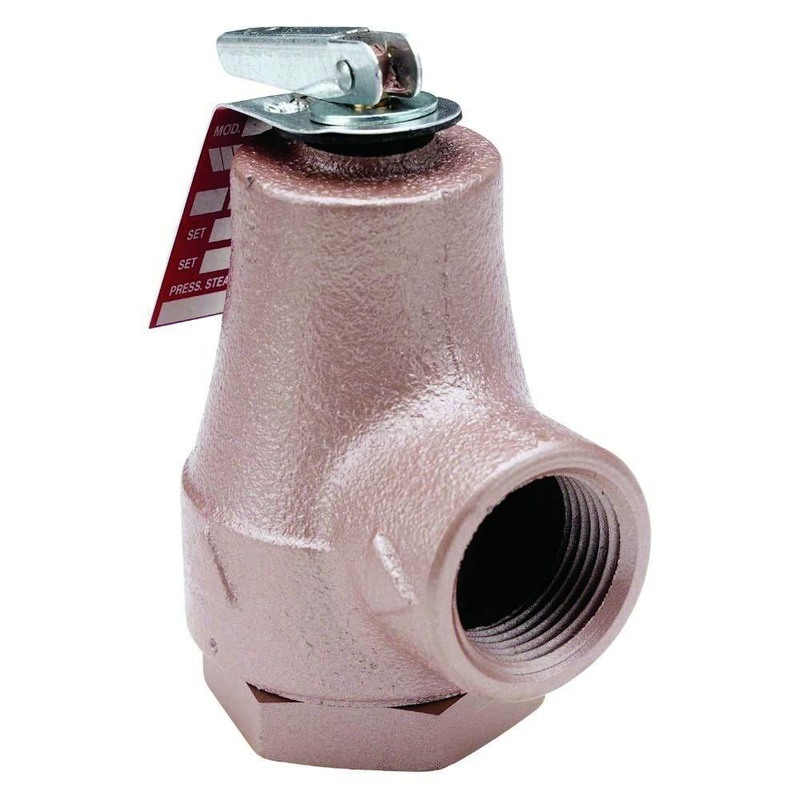 When you have time would you be so kind as to provide us with many images of the near boiler plumbing as possible being the water feed valve, pressure relief valve. 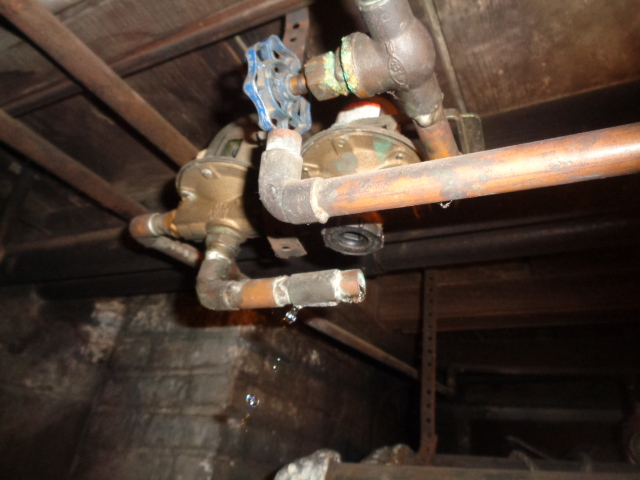 back flow preventer, piping leading to the steel compression tank and the pipe runs from the boiler to the ends of the basement plumbing. The more pictures you can upload the faster one of us can help you. Do not lose hope, you can keep the tank in the ceiling you just need to do some work. Seems to be some confusion...i was referring to another job when i was talking about the steam. I do hope this tank is good..will save me problems of getting the right one....I referred to the pressure valve releasing water in the past...not when it went up to 15 lbs.....all radiators have been bled as well. What are you thinking it could be besides the tank?...I'll take some photos when I can and attach them. It just seems the amount of water I drained from the tank was about 2/3 the volume of the tank. there is one taco circulator which I installed. What work do you think I need to do on this...? If you have an automatic air vent in that plumbing set up get rid of it and plug the tapping its in. you will flood the tank and lose your point of pressure change. Take a big wad of pictures that way we can identify everything for you. You should also wander over to Dans bookstore page and purchase PUMPING AWAY and CLASSIC HYDRONICS so you know what you are looking at and you can talk to a plumber you trust if you need one to fix what ever is wrong. there is no air vent in the setup...no airtrol valve in bottom of tank..just a faucet...the boiler fills to 12 lbs when low pressure due to draining tank....auto fill is not on...the boiler and system would be overfilled...is that what you are talking about? I know all the parts on the boiler. Is there a procedure to do this draining of the tank that I'm not doing properly...thought i was doing it correctly ..but if not ..please let me know....it's getting cold over the weekend and will have to use as is until I figure out the problem. I'm told the maximum pressure should be 20 lbs at full heat and saw it close to 30 at 150 to 180 setting of aquastat. the pressure relief valve is set at factory for 30 lbs...maybe these gauges are inaccurate. Will post photos soon. you mention if auto fill valve is on....i interpret as lifting the lever and the valve fills to boiler until you push it down...is that what you mean? 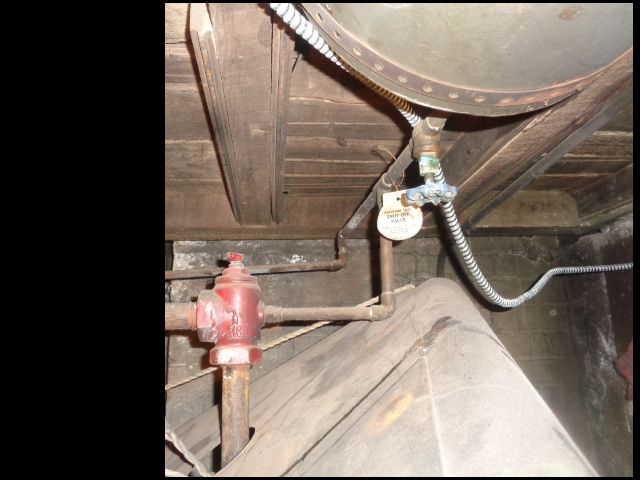 You have a boiler drain valve in the tank chances are it has the tiny drain line that sticks up into the steel compression tank to drain excess water from the tank to correctly create the 1/3 air 2/3 water ratio in the steel compression tank. If the tank is refilling in the event of low pressure without intervention you need to shut the feed water off. The lever in the regulator lets you bypass the regulator for a quick boiler filling. 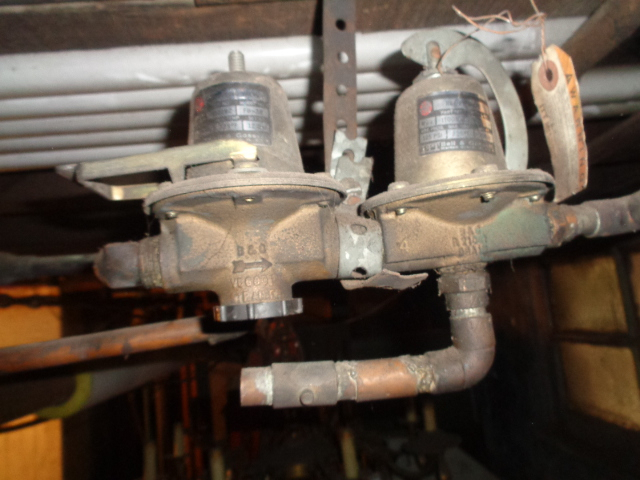 Shut the water feed valve off(the one in front of the pressure regulator" and then drain any excess water off from the steel compression tank and when it spits only air shut the valve off. My coal stoker boiler can operate with water pressures from 1-2 PSI to 10 PSI depending on the demand for heat in the home. You should no longer have any issues with the steel compression tank after you shut the fill valve off and drain the steel compression tank of excess water as any air in the system will vent into the steel compression tank. this is the valve mentioned here as well as in the article attached written by Dan. Enclosed are the photos. It looks like that the valve on the tank is just a valve and not the above...? The ATF 12 airtrol valve (which I have) has the copper tube and a simple drain that lets you drain the excess water out like I described. I take it the steel compression tank does not have a gauge glass in one end? The system needs some work. I have no idea why they plumbed in two automatic water feed valves and left one wide open. If the globe vale is shut off and the tank is full of water it has some dirt stuck in it apparently. The tank appears to have a boiler drain valve in that tapping rather than a water venting type of drain valve that would have the long tube in it. The tank looks fine from what I can see of it you just need to have work done to bring it back to the correct way to plumb it with the right fitting a back flow preventer, low water cut off, new relief valve and what ever else you need to bring it up to code. one is a feeder valve and the other is the pressure valve. i agree with the valve in the tank....i listed the valve i saw above...thanks for your help! The two members who asked for the pictures never responded back again after I posted them. 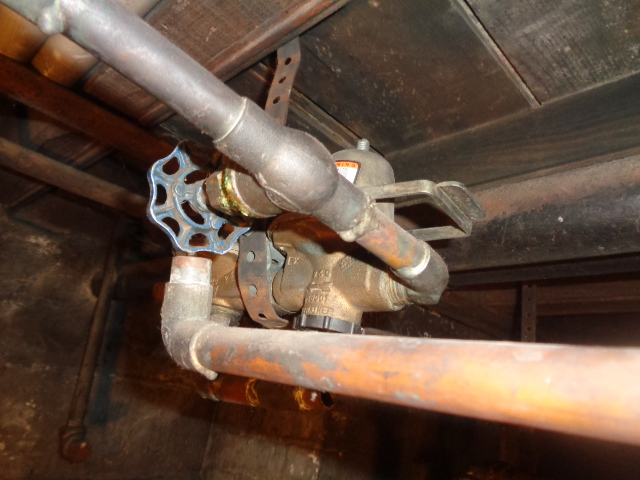 I attached a photo of a pressure relief valve. This boiler doesn't have one like this...the b & g on is next to the fill valve in the photo...is there a difference in the both? Just attached two more photos just taken...the aquastat set 150 to 180....set thermostat to 65....started at 54....radiators hot...and now boiler off.. ...you can see the pressure is 28 lbs on the gauge and the water is coming out of the relief valve. other than spilling some water out seems like all running fine. I might lower the aquastat numbers and keep them 30 degrees between them...who knows what the temperature is and if the gauge is right...and the hotter the water the more it expands.